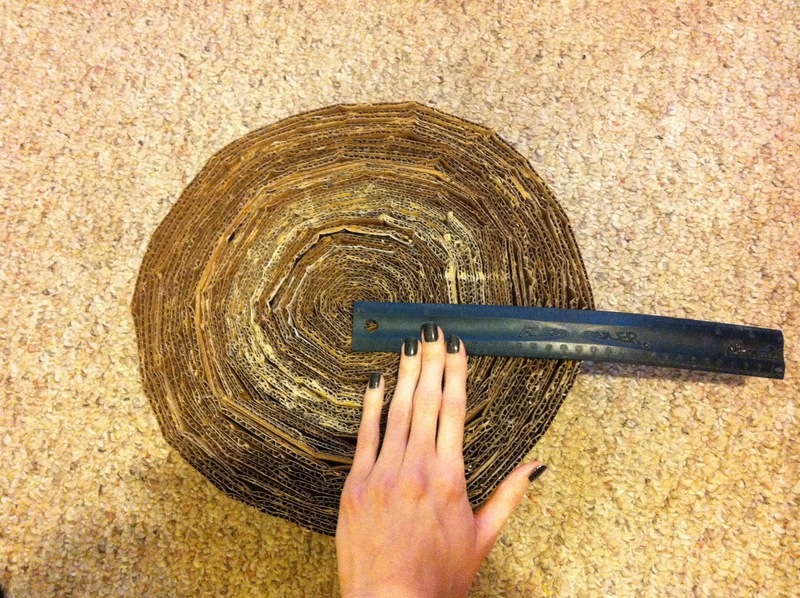 This cat scratcher is one of my favourite DIY's to make. 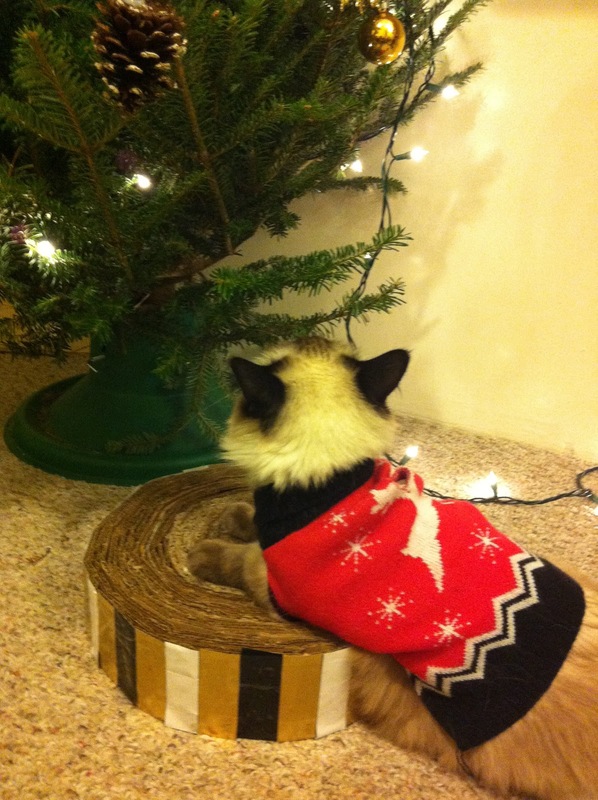 It is customizable, simple, basically free, and your cat will love it! It also makes a great gift to give to your cat or to an animal-loving friend. & that's it! All of these things can be found lying around my house at any given time. Especially during the holiday season when boxes from online orders are taking up a ton of space! 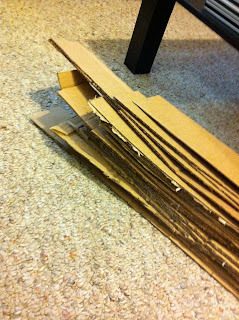 Step 1: Flatten out your boxes & Make a template for cutting out strips of cardboard. My strips are about three inches tall. 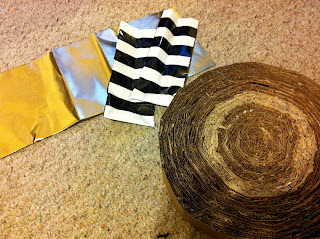 Step 2: Cut out your strips. 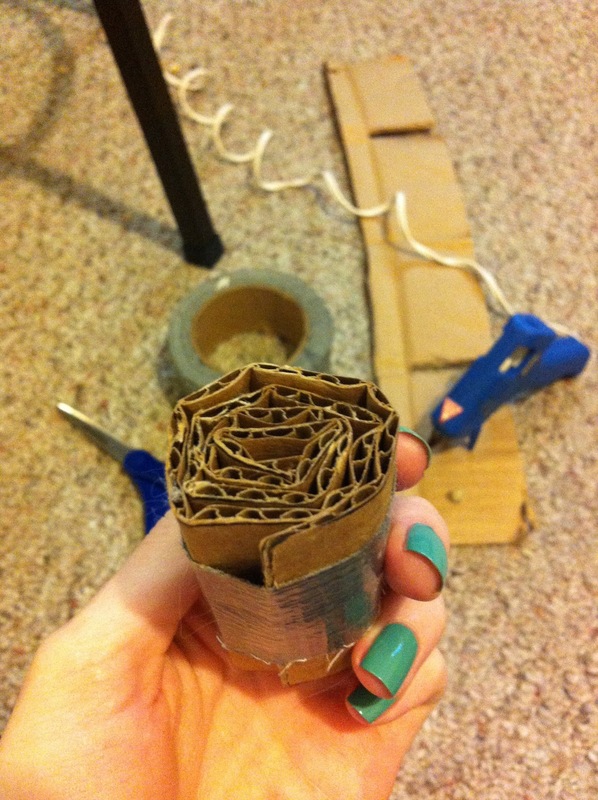 This is the most tedious part. Cutting out cardboard is hard! 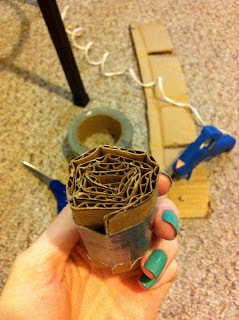 Step 3: Take one strip & fold it into a spiral. 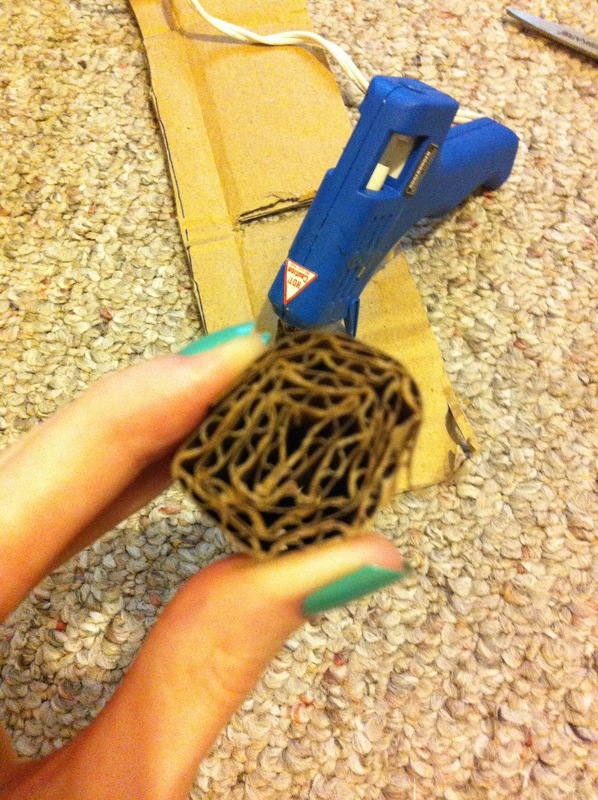 Place some hot glue as you roll to secure together. Step 4: Tape the edge down using a piece of duct tape. 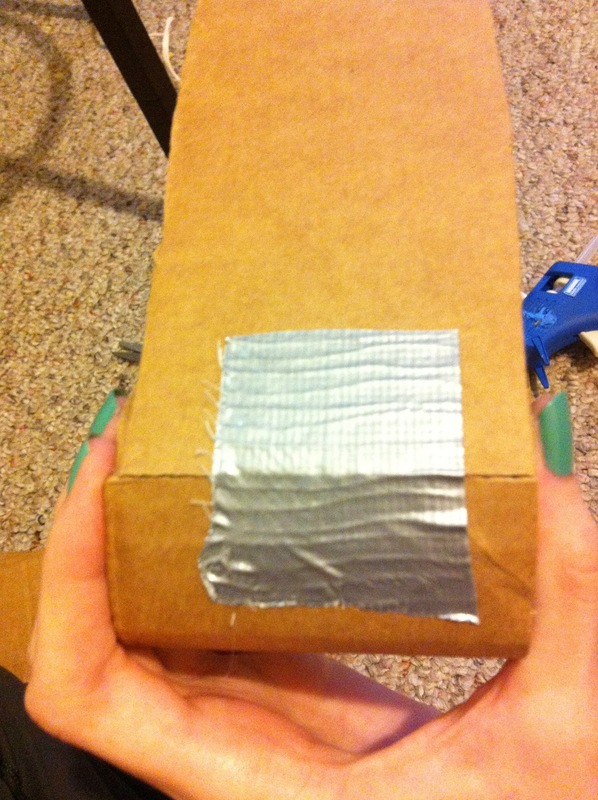 Step 5: Using another piece of duct tape, tape a new strip flush with the edge of the previously rolled cardboard. 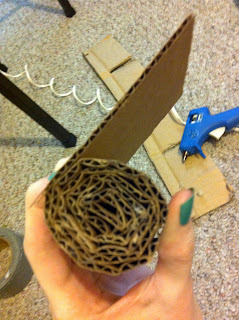 Step 6: Roll this strip of cardboard around to continue the spiral shape. 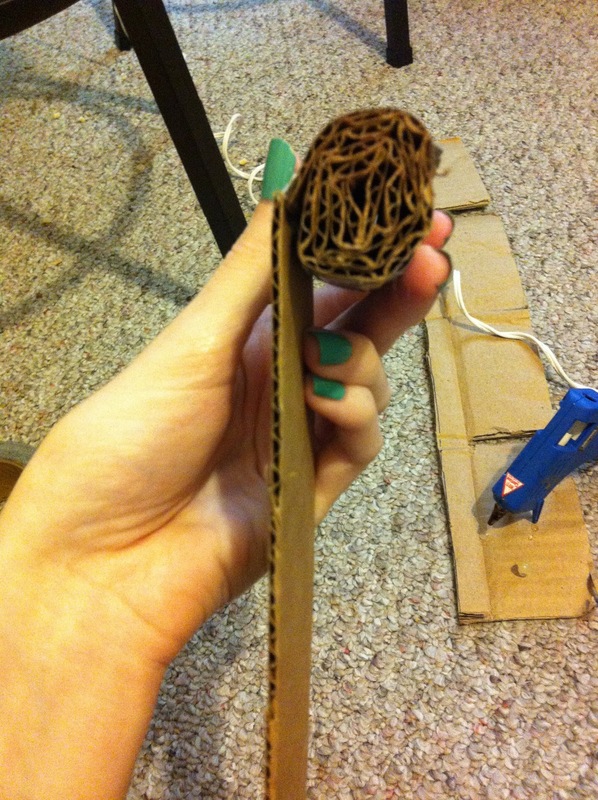 Secure with hot glue as you roll, as needed. 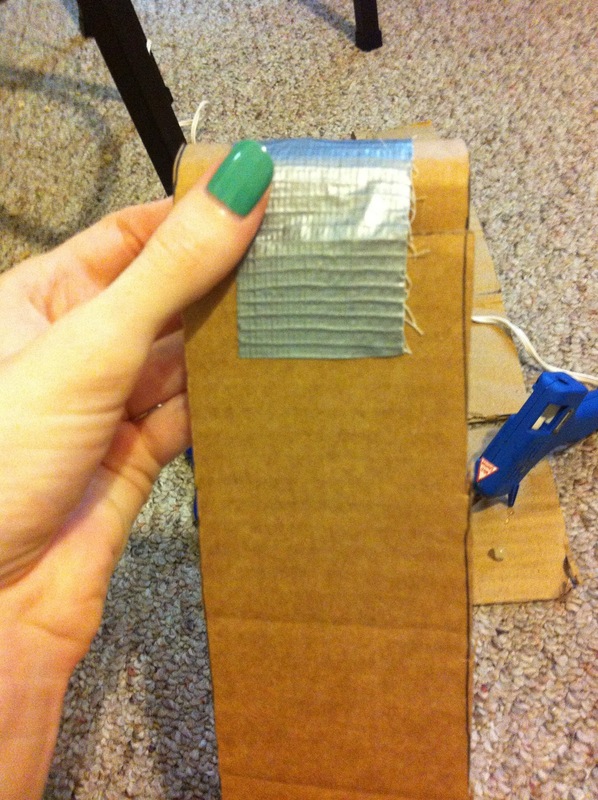 Step 7: Add a new strip to the end using a piece of duct tape. Step 8: Repeat steps 5-7. 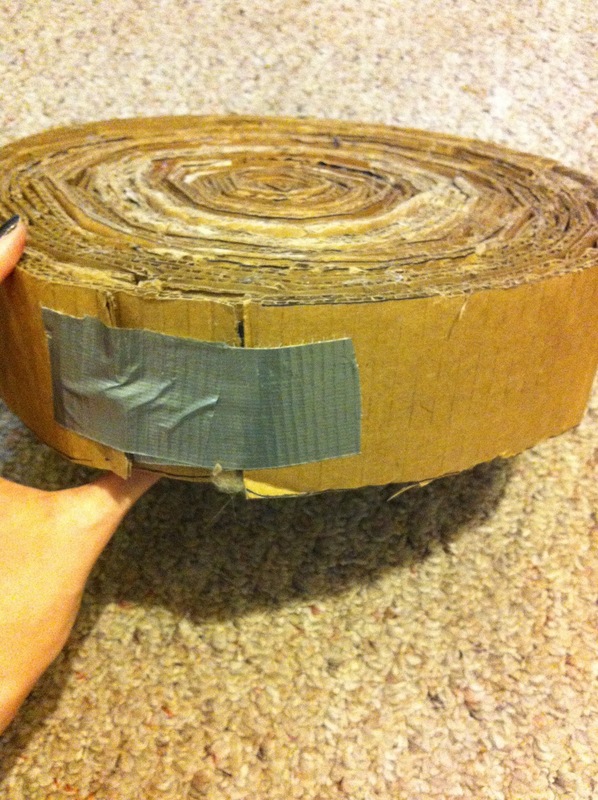 Step 9: When you reach the desired size (mine has a radius of 6.5 inches), duct tape the end. Step 10: Pick out the paper & design you want for your cat scratcher. Attach using hot glue, regular glue, or tape. I used hot glue then wrapped around it using clear packing tape. 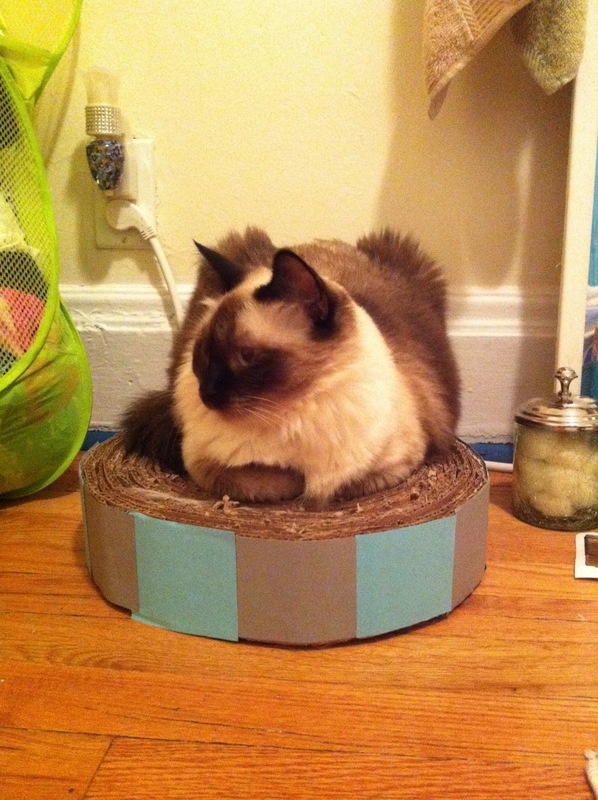 This DIY is a great way to reuse old boxes, have pet toys that look nice & match your decor, and save some money on expensive scratching posts. 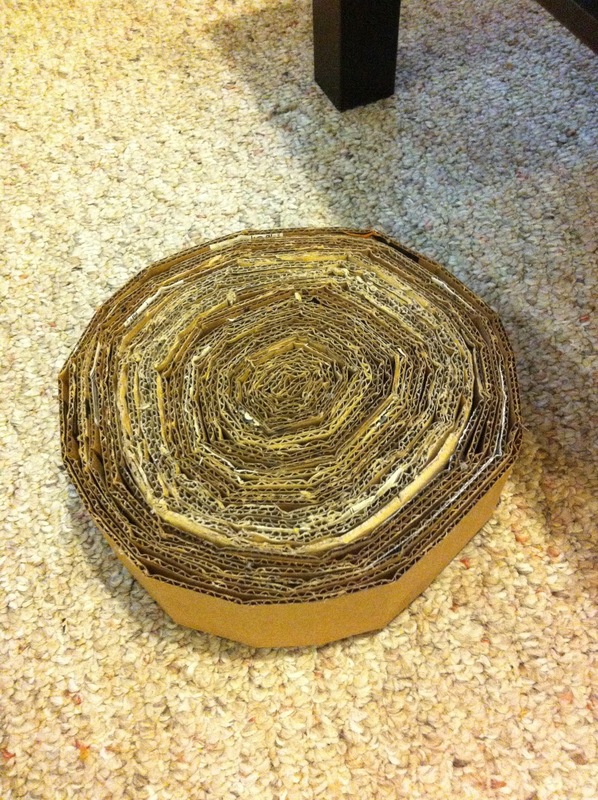 They last so long; you can just flip them over for a new side of scratching! 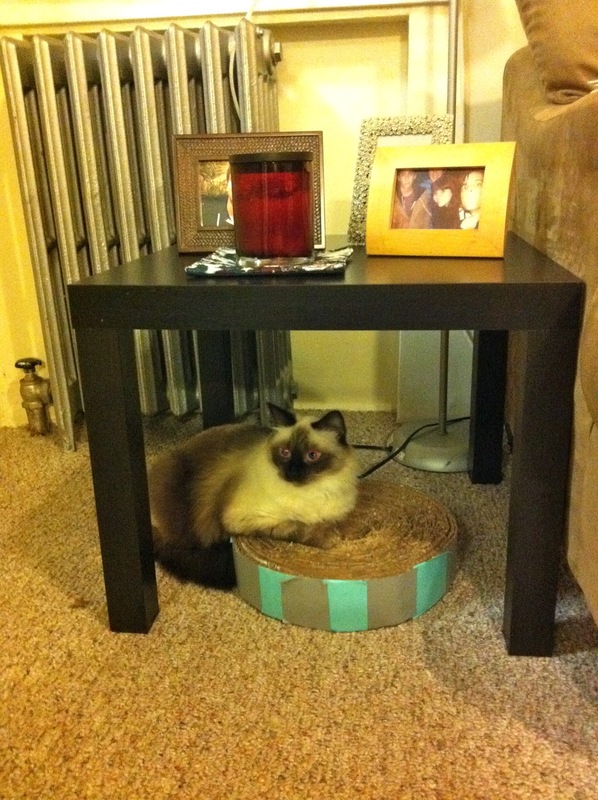 My cat loves to scratch it, sit on it, & even use it as a pillow. I think you have no, I know you have given me a wonderful idea to try for my cat Sydney. I know she will love it also! Thank you for that glorious DIY!